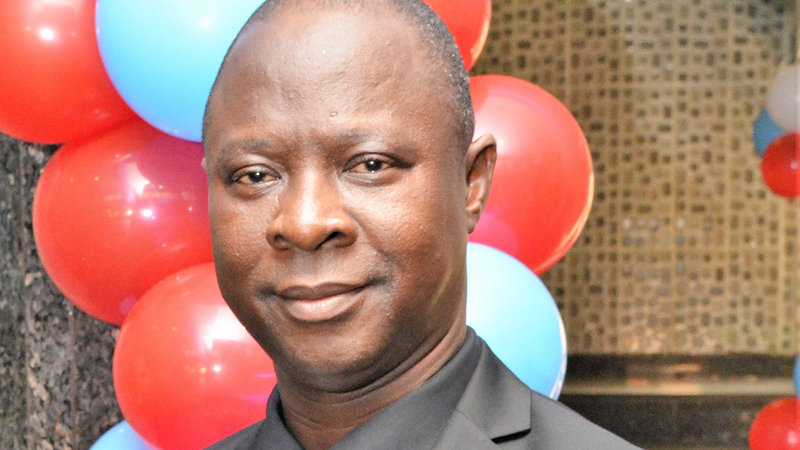 Timothy Olawale takes over Nigeria Employers’ Consultative Association (NECA), from Olusegun Oshinowo, who was in the saddle for 19 years as the Director – General. Taking over from someone of Segun Oshinowo’s calibre and his big shoe, are you afraid? I am not afraid. Talking about big shoe, I concede indeed that Mr. Oshinowo himself is an institution that has actually left a lasting legacy that will not be easy to match. He had advised that the issue of him leaving a big shoe behind should not distract me. He told me to wear my own shoe, be comfortable in it and move at my own pace. He also said in his wisdom that people should not judge a successor by the journey he just started because his predecessors also travelled his own path and must have encountered some hiccups, failures and corrections before arriving at the destination. The outcome of a predecessor should not be the benchmark to judge the successor. So, I must say that depending and resting on those wisdom he shared with me, and knowing fully well that the position was not just given to me on a platter of gold, it is merit driven and having worked with him for eight solid years, I am well prepared to step into my own shoes and to continue from where he stopped. What are your ideas to move NECA forward for the couple of years with you at the helm of affairs? NECA’s mandate revolves around just one principle and that is ‘service to members’. You are as relevant as a business membership organisation as much as you continue to serve your members and deliver to them on those mandates that they have committed into your hands. That is exactly what NECA has been doing since 1957 and building upon and that is exactly what we will continue to do. Deepening our service portfolio to members, enriching that portfolio and improving on what we have been delivering to them so that we will sustain our relevance. In specific terms, these are services that are connected with the competitiveness of business and sustainability of those services. It is one thing for businesses to be competitive in short time and another thing for the business to be sustainable in the long time. The other aspect is that in driving that, NECA’s core value of being a responsible corporate entity, by doing whatever it want to achieve through legal and legitimate means, it would be sustained. In other words, we are not going to vie outside legality and legitimacy. Finally, we have good financial standing for the organisation. We didn’t inherit an organisation that is bankrupt and we do not intend to go that route. We make sure the organisation continue to be on a sound and steady footing through the period of my service at the highest level. One of the hallmarks of your predecessor is women empowerment. What does your administration have for the young entrepreneurs? We have just started a project we tagged ‘NECApreneur’. It is an online solution to reach out to young graduates and that still in tertiary institution to imbibe in them the traits of entrepreneur. You are aware that the scourge of unemployment in our society is huge and the only way out is to dissuade youths from chasing white-collar jobs. Instead, they can be entrepreneurs and even be employers of labour in their own little right. The initiative is done online and divided into three segments. We have the foundation level, intermediate and advance level. We also give them the opportunity of internship for them to understand the practical aspect of it leveraging on our membership network. We believe they should be in good standing to start their own business. We are also into technical skills development where eventually by the time they pass through the tutelage of those training institutions or companies, they will be in a position to start their own businesses based on the skills they have acquired. With these two interventions, we will actually go a long way in taking care of the youths and the upcoming young executives. With regards to the women employment, it is an on-going initiative. We can only continue to deepen and build on what we have achieved so far. It is still work in progress. It is not as if it is done and dusted. If you don’t continue to nurture and grow it there is a possibility that it will die a natural death. Can companies actually survive in this challenging operating environment and what can government do to provide enabling environment for businesses to grow? It is indeed very challenging and troubling not only because of our deficit in infrastructure but because of some other human element that is also compounding the matter especially regulatory onslaught on organized businesses. Regulators are supposed to be service platform to nurture businesses and guide them into compliance and organized businesses are not against such regulations. However, rather than been collaborative and supportive what you discover is that most of these regulatory agencies are pecuniary-driven. They are also not operating within the ambit of law and that is why you see instances where arbitrariness, without recourse to the provisions of the enabling acts setting up those regulatory bodies, they shut down businesses and cause damages that are difficult to mitigate on businesses. And this counters the present government enthusiasm in improving Nigeria ranking in the ease of doing business. We have repeatedly said government cannot be working on the ease of doing business in one hand and some other agencies of government are working to pull it down. However, good enough, government has instituted a platform for us to continuously engage with them on a quarterly basis. We will continue to review situation with them and to see how government can call to order the leadership of those agencies. Do you think the ERGP is recording expected success? It is a laudable programme and we have repeatedly said so. With steady implementation, it is going well. However, sustainability and persistency in the implementation is what is important. Government should be consistent and sustain the steam at which it is implementing it. There should not be a relapse and gradually we will get out of the woods. What is NECA’s message to employers as well as government? For employers, NECA is still the same old NECA they have known and related with. Together we stand, and we continue to stand in gap for them. In servicing them, and ensuring that their interest of organized business are protected through legal and legitimate means. And we will continue to count on their support to rally round their organised body as the voice of business to speak and act on their behalf. For other organised business membership bodies, NECA desire is for us to speak with one strong and undivided voice on behalf of businesses. We work with such bodies like Manufacturers Association of Nigeria, National Association of Chambers of Commerce, Industry, Mines and Agriculture (NACCIMA), Nigerian Association of Small and Medium Enterprises (NASME) to ensure that we have a strong vibrant organised private sector and that together we will engage government and other stakeholders to ensure that we contribute our quota to national economy and to also ensure that the interest of businesses is served. In other words there is going to be a robust collaboration with government in the interest of the national economy and the interest of organised businesses. What is NECA’s message to NLC and Nigerians on the struggle for a new minimum wage? Well, NECA has done its own bit. Of course, when I say NECA, I mean by extension, the organised private sector. The issue of arriving at a new minimum wage is a process. The process hitherto has gotten to the point of submitting the report of the tripartite committee to the president. What is left is for the president to transmit a bill to the national assembly. I will urge government not to tarry with regards to this responsibility so that we don’t have another round of threats from organised labour about industrial action. I also want to encourage the National Assembly to make the bill a matter of priority and act speedily when they receive. For organised labour, the journey of a thousand mile starts with a step. They are closer to the end of that thousand mind than when they started. Patience and continuous engagement is the watchword. They should not result in illegality in driving for what is legally their right. They should engage constructively and if social dialogue fails, they should deploy other means of dispute resolution. Strike should be the very last resort in the interest of the nation, the economy and even the workers they seek to protect. They should refrain from what will be inimical to the economy. As the 2019 elections draw closer and amid heightened political tension, what is the message of the organised private sector to voters, politicians and government? There is palpable uncertainty in the air, especially when it comes to business investment. Actually, there are concerns and doubt of the possibility of violence, smooth transition and if politicians will respect the outcome of election. We can only pray and hope that all go well and that every player in the polity will show every sense of patriotism and responsibility in playing their part. We urge government to be unbiased and responsible in its relationship with the Independence National Electoral Commission (INEC). We urge INEC to be a fair and unbiased umpire. Organised businesses should also be hopeful that all will go well and be on guard to protect their investments.